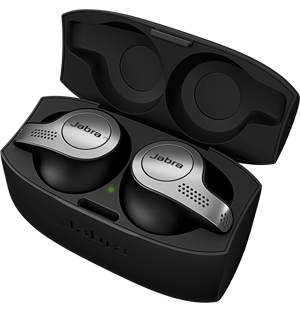 When concentration is key, you can’t afford any distractions – and Jabra’s range of noise cancelling earbuds and earphones are here to ensure you only hear what you want to. Need to focus on key calls in a bustling office, or get in the zone with your workout soundtrack? Using the latest noise cancellation design and technology, these products dramatically cut environmental and background noise, allowing you to keep your focus razor-sharp. The benefits of noise cancellation aren’t just personal – they can be a huge boost to business, too. Contact centres regularly tell us they see an uptick in productivity when employees are equipped with noise-cancelling earphones. As well as enhancing the sound quality so customers benefit from being heard as clearly as possible, noise cancellation removes distractions and helps workers to maintain their concentration for longer. There are two main types of noise cancellation – passive and active. Passive cancellation means background noise is blocked out due to the physical design of the earpieces or buds, usually by providing a complete seal over the ears. 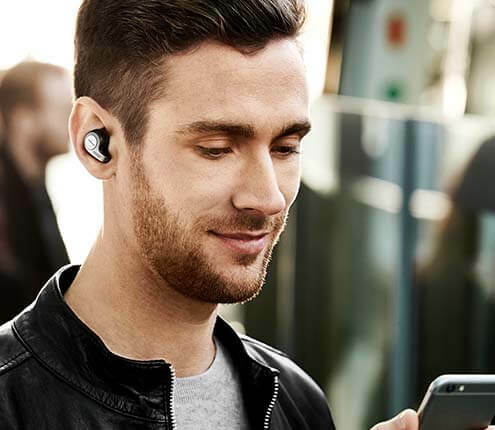 Meanwhile, active noise cancellation takes a more sophisticated approach by producing an opposing sound wave that effectively “erases” background noise. While passive cancellation works very well in most circumstances, active cancellation produces superior results. We provide headsets with active and passive noise cancellation – try them today and feel the difference for yourself.